Are you looking for top notch entertainment? Your search is over. With over 130+ shows annually Past Action Heroes are the most professional and polished team you'll encounter. High energy fun is what we bring to your event. 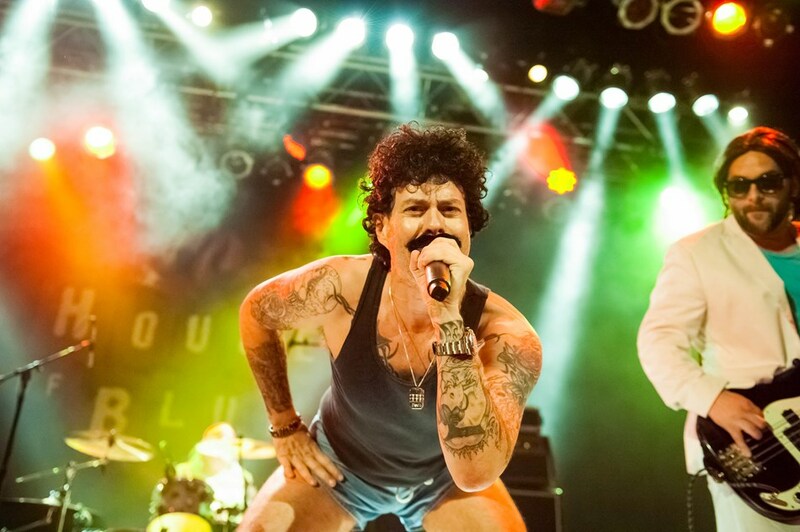 We'll keep every guest captivated and dancing all night by playing the best hits of the 80's! We play the most authentic reproductions of all the hits mixed in with the most amazing brand of humor. Why hire an ordinary boring cover band in jeans and t-shirts when you can have a band that takes your event to a whole new level? We specialize in making your event a hit! Whether your event is a wedding, corporate event, reunion party, community event, block party, wrap party or birthday party, Past Action Heroes has you covered. We win over EVERY crowd guaranteed, and we are 100% committed in bringing you the best experience. Past clients have included: Anheuser-Busch, USC, The Beverly Hilton, Hewlett Packard, Live Nation Events, Disney, 20th Century FOX, Children's Hospital of Los Angeles just to name a few. *Emcee services for reception and activities during your wedding party. We do it with the perfect amount of sentiment and humor. *DJ - accompanies the band and provides other genres and keeps the party going. Our state of the art sound system and light show is provided in all our packages. Please contact us for our complete party, event, and wedding reception packages available. Greg, Chris and the boys were great. Every single person at the party thought the band was incredible. We highly recommend them to any one who wants to hear great 80's tunes. We absolutely would have them play at any other party of ours. A+ across the board. Unbelievably fun night. 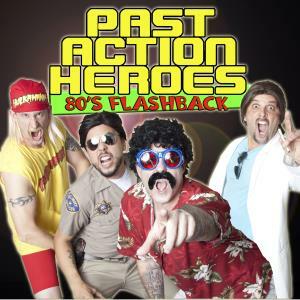 Past Action Heroes is an amazing 80s cover band, with a phenomenal song list. They rocked our wedding reception on June 3rd! They are superb entertainers and their covers often sound better than the original songs!! Our guests loved them. They are also extremely professional. Communication was timely and easy. Most importantly, they offered to learn our first-dance song (which sounded off-the-charts great!). 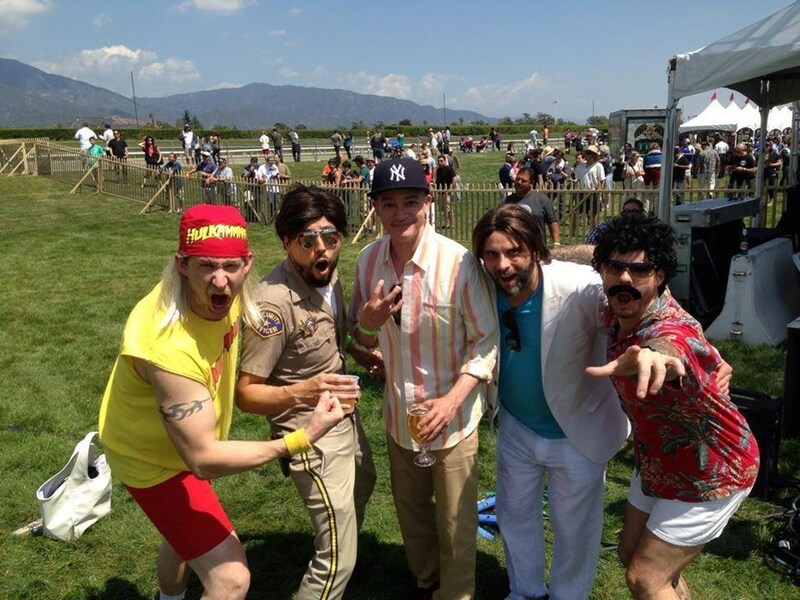 These guys go above and beyond to put on a great show—we absolutely *loved* their outrageous costumes. Who wouldn’t want Thomas Manyum, Poncho Rello, Miami Don and Hunk Hogan to play at their wedding reception? We were thrilled to have found them!!! Thank you P.A.H! Everyone had such a great time at the party. Our family and friends can't stop talking about how fun, crazy, and great your show was. Thanks for singing "Panic" for us - and getting me to sing along. All members were super nice, courteous, and very accommodating. Can't wait to see you guys again! From the rumors I heard - you guys have several new "groupies"! They were great guys to work with. They provided an extra level of entertainment that got everyone at the party involved and excited. The 2 things I kept hearing from my guests were "where did you find these guys? They are great!" and "these guys are hilarious!". I would definitely use them again!! I hired this band for our annual Fourth of July neighborhood block party and they were great! They started on time and entertained the crowd and involved the guests and put on a great show! I highly recommend them! Band, especially lead singer was very good at drawing out the crowd. Great time and band! Greg…..Employees loved you; we’ll look to book you for a summer gig..Mark Dean-CEO for BDS Marketing. This is the 2nd time we have used Past Action Heroes, two totally different groups. Both times they have been an immediate hit. Their energy, stage presence, and great sets turn the crowd on fire. Everyone is on the dance floor. We will be booking them for 2 more gigs this summer! You can't go wrong with this group!! Please note PAST ACTION HEROES will also travel to Alhambra, Bell Gardens, Glendale, Huntington Park, Maywood, Monterey Park, Bell, Hollywood, Pasadena, South Pasadena, Montebello, South Gate, Burbank, Beverly Hills, Inglewood, Rosemead, San Gabriel, San Marino, Culver City, Downey, El Monte, Lynwood, Pico Rivera, Toluca Lake, Universal City, Willowbrook, Compton, La Canada, Montrose, North Hollywood.